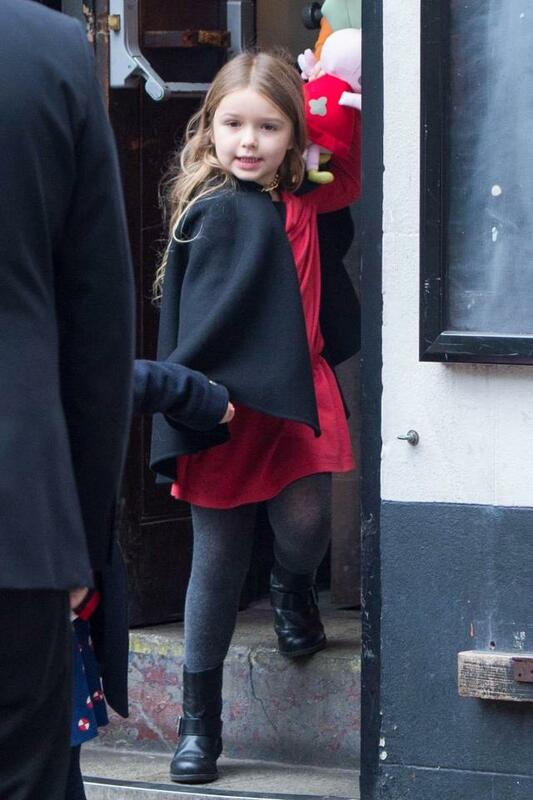 Harper Beckham Pics. Harper Beckham – daughter of two legendary stars- David and Victoria Beckham and must feel blessed to be the child of two such awesome personas. David, a timeless footballer and Victoria, a business woman, fashion designer and a singer. Let’s start with some information about Harper. As of 2017, she is 5 years old. Her Parents: David and Victoria Beckham. Siblings: She has three elder brothers, Brooklyn, Romeo James and Cruz Beckham. Here’s a look at the family enjoying themselves fully at Disneyland. Here’s a picture of David picking his girl up from school. #49- Guess who has the Best Brother? Little Harper is just one year old here in this picture from 2012 and she’s already setting the highest standards of cuteness! Isn’t she simply the best dressed toddler ever! That proud look on David Beckham’s face truly shows how much he loves his little girl! In this adorable picture from 2013, Harper is seen wearing the same colored maroon leggings as her father’s sweater. This pic is from 2013 when Harper was two years old.